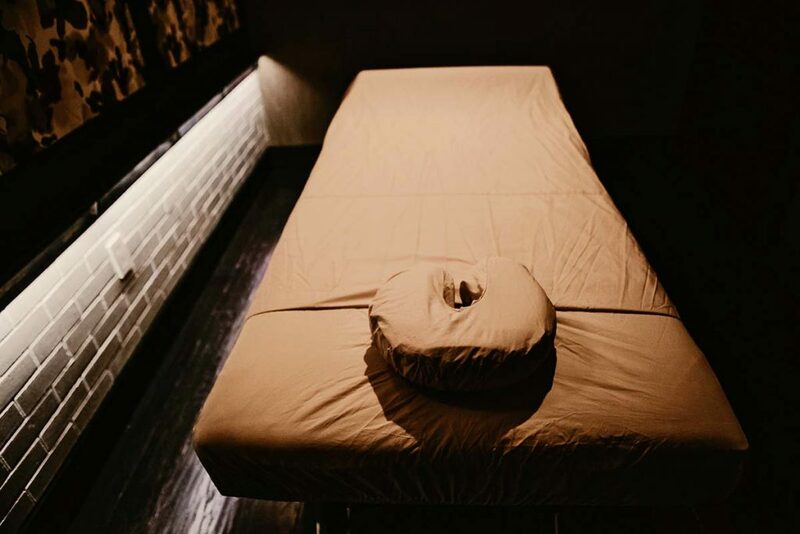 Thai Massage was created over 2500 years ago by Shivago Komarpai, a physician from Northern India. Since then, Thai Massage has been influenced by the Asian Indians, Chinese, and Southeast Asians, but it didn’t reach the U.S. until 1980. Treat Your Feet was voted as having the Best Thai Massage in Atlanta in 2015. Although the award went to our Doraville location, the same award-winning masseuses are giving Thai Massages at Treat Your Feet Buckhead. This unique massage is also called Thai Yoga Massage or even the “Lazy Man’s Yoga” since this massage goes through assisted yoga movements that are performed by the massage therapist. Thai Massage also blends principles of acupressure, and reflexology. This massage is not recommended for pregnant women. Unlike our other body massages, you are fully clothed during a Thai Massage. It’s recommended that you were loose fitting comfortable clothing because of the variety of stretches and poses you are taken through. In addition to this, Thai Massages are not performed on a massage table; they are performed on a special massage mat. Make sure you’re comfortable enough with a regular massage, and have a normal range of flexibility. Your Thai Massage therapist will guide your body through the experience of opening energy pathways. We recommended that individuals getting a Thai massage do not have limited flexibility, an injury, or decreased physical stamina that prevents them from being able to properly complete the massage. Oils are generally not used during Thai yoga therapy since you remain dressed during the massage session. This is another reason for its mid-day session popularity. Because we have the best Thai Masseuses in Atlanta! Our Thai Masseuses have received specialized training directly from the source in Thailand, and only 3 masseuses at our spa in Atlanta are qualified to give a Thai Massage, so very few appointments for this particular massage are approved. Walk-ins for a Thai Massage are not accepted. Appointments only.